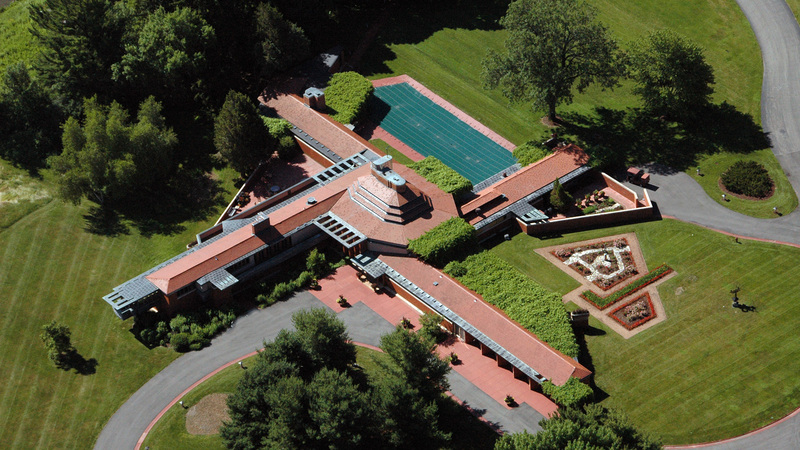 SC Johnson is home to two of Frank Lloyd Wright’s most remarkable designs. You can see them and Wingspread, all in Racine, Wisconsin. The company’s global headquarters campus also includes Fortaleza Hall, by renowned architect Norman Foster and his firm Foster + Partners. 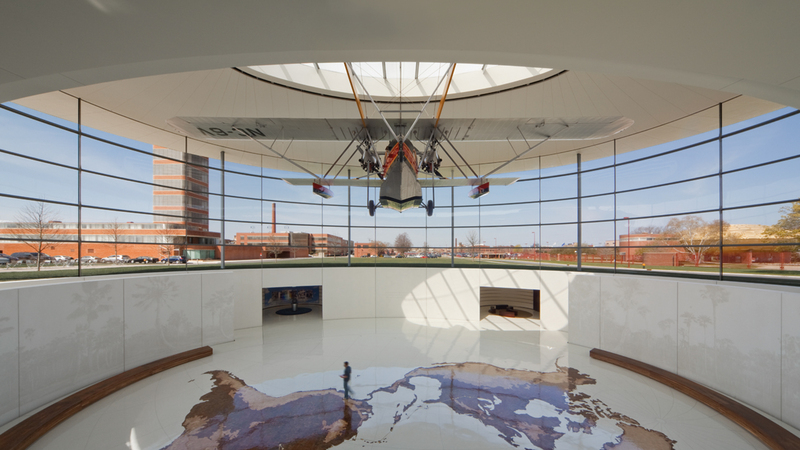 From the 1930s to the 1950s, third-generation company leader H.F. Johnson, Jr. worked with renowned architect Frank Lloyd Wright to transform SC Johnson’s global headquarters campus in Racine, Wisconsin. The first building Wright designed for us was the Administration Building, which opened in 1939. The Research Tower followed, opening in 1950. Wright also designed the Johnson family home, Wingspread, which was completed in 1939. 1936: H.F. Johnson, Jr. commissions Frank Lloyd Wright to design the SC Johnson Administration Building. 1938: Work begins on Wingspread, the Wright-designed home for H.F. Johnson, Jr. and his family. 1939: The Administration Building opens. 1943: Frank Lloyd Wright submits drawings for the SC Johnson Research Tower. 1950: The Research Tower opens. 1959: Wingspread is donated to The Johnson Foundation. 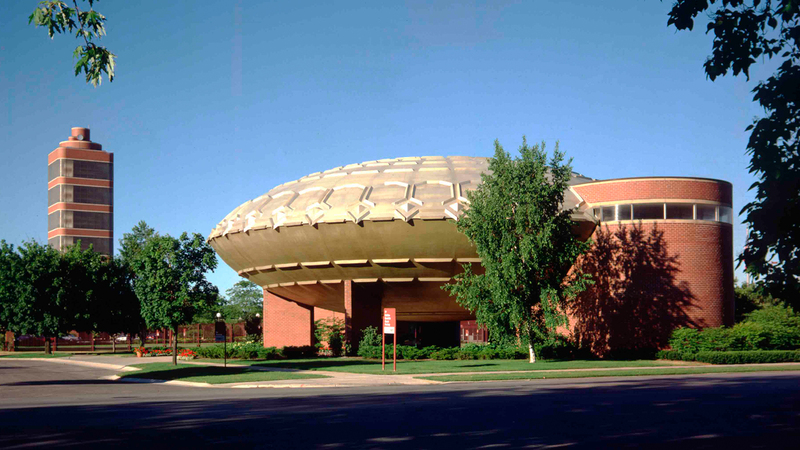 1967: The Golden Rondelle Theater, originally built for SC Johnson’s exhibit at the 1964 World’s Fair, is installed on SC Johnson’s campus. 1976: The Administration Building and Research Tower are named to the US National Register of Historic Places. 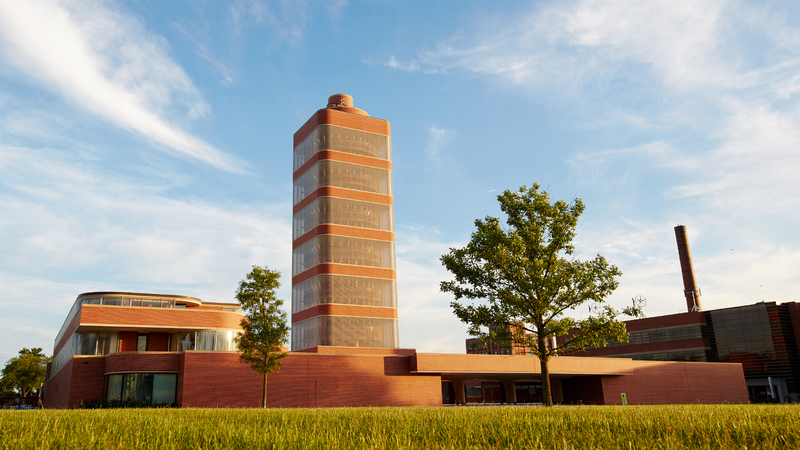 1986: The American Institute of Architects names the Administration Building and Research Tower among the 10 most successful examples of architectural design. 2006: Fisk Johnson, Chairman and CEO of SC Johnson, commissions Fortaleza Hall, designed by architect Norman Foster of Foster + Partners. 2011: SC Johnson completes a long-term loan agreement with the Frank Lloyd Wright Foundation to showcase Wright artifacts. 2012: The SC Johnson Gallery: At Home with Frank Lloyd Wright opens, featuring new exhibits on a rotating basis. 2014: The Research Tower opens to the public for tours. 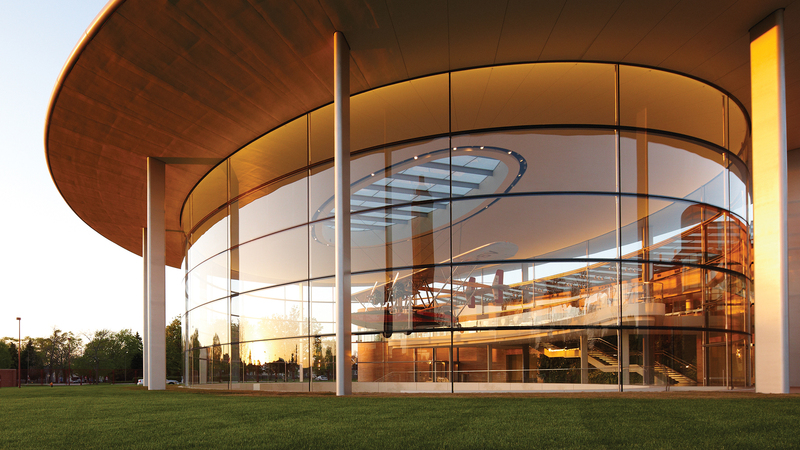 2015: As a regional sponsor of the 2015 Chicago Architectural Biennial, SC Johnson offers special programming for architectural enthusiasts to visit our Frank Lloyd Wright-designed campus. 2017: SC Johnson helps dedicate the Frank Lloyd Wright Trail, which connects nine Wright-designed historical sites in southern Wisconsin. 2017: As Presenting Sponsor of the 2017 Chicago Architecture Biennial, SC Johnson once again opens our global headquarters campus to visitors for free tours. Commissioned by: H.F. Johnson, Jr. Designed by: Frank Lloyd Wright. Celebrated as one of the top 25 buildings of the 20th century. Houses the Great Workroom, which has more than one-half acre of workspace and is renowned for its soaring columns. Wright called the columns “dendriform,” meaning tree-shaped. Because of their unique design, they are also called mushrooms, golf tees or lily pads. The columns are just 22.86 cm (9 inches) in diametre at their base, but blossom to 563.88 cm (18.5 feet) in diametre at the top. The brickwork is a warm, red-brown shade known as “Cherokee Red;” the trim is Kasota Stone. Nearly 200 special shapes of Cherokee Red brick were created to create the curves of the building. The glass tubing “windows” of the building were designed by Wright to refract light and cut glare. Laid end-to-end, there are about 69 km (43 miles) of glass Pyrex tubes. Wright also designed more than 40 pieces of custom furniture for SC Johnson. One of the tallest structures ever built on the cantilever principle. Stands 46.63 m (153 feet) tall. Its central core, which is 3.96 m (13 feet) in diametre, extends 16.45 m (54 feet) into the ground. The tower is 12.92 square m (40 feet square). All 15 floors of the tower are supported by the “taproot” core, much like a tree supports its branches. Of the 15 floors, six are square, with circular mezzanine floors above them, and there is one additional square floor on the second level. More than 5,000 Pyrex glass tubes serve as its windows. The Raid®, Glade®, OFF!® and Pledge® brands were all invented in the tower. SC Johnson stopped using the tower as a research lab in 1982, when new building codes required the addition of an external fire escape if it was going to remain in use. Includes Legacy Gallery, which shares the history of the company, and The Commons, a gathering place for employees, including a dining area, fitness centre, full service bank, concierge service and company store. Home to the replica, twin-engine S-38 amphibious plane Sam Johnson flew to Brazil in 1998. Home to The SC Johnson Gallery: At Home with Frank Lloyd Wright, which showcases a rotating selection of Wright’s designs and artifacts. An 8,000-square-foot mural of white concrete features rasterised images of the Brazilian palm forest, recreated from a photo taken during H.F. Johnson, Jr.’s 1935 expedition. The polyconic mosaic map on the floor traces Sam’s expedition and was created using 19,200 pieces of four different kinds of sustainably harvested wood. Two grand staircases on the north and south sides of the building are dedicated to H.F. Johnson, Jr. and Sam Johnson, and feature quotes from them. Three curved, sustainably harvested U.S. black walnut benches depict the expedition stops of both H.F. Johnson, Jr. and Sam Johnson. The vertical garden was designed by Patrick Blanc and holds nearly 2,500 plants and 79 species largely native to Central and South America. The soundscape provides a 3-D veil of sound. It is computer-generated and linked to the U.S. National Oceanic Atmospheric Administration (NOAA) to compliment the weather and the time of day in Racine with sounds of Brazil. No two days sound alike. Designated motor route from Kenosha County to Richland County in Wisconsin. Stops include: SC Johnson Administration Building and Research Tower (Racine), Wingspread (Racine), Burnham American System Built Homes (Milwaukee), Monona Terrace (Madison), First Unitarian Society Meeting House (Madison), Taliesin and Frank Lloyd Wright Visitor Center (Spring Green, Wyoming Valley School Cultural Arts Center (Spring Green), and AD German Warehouse (Richland Center). 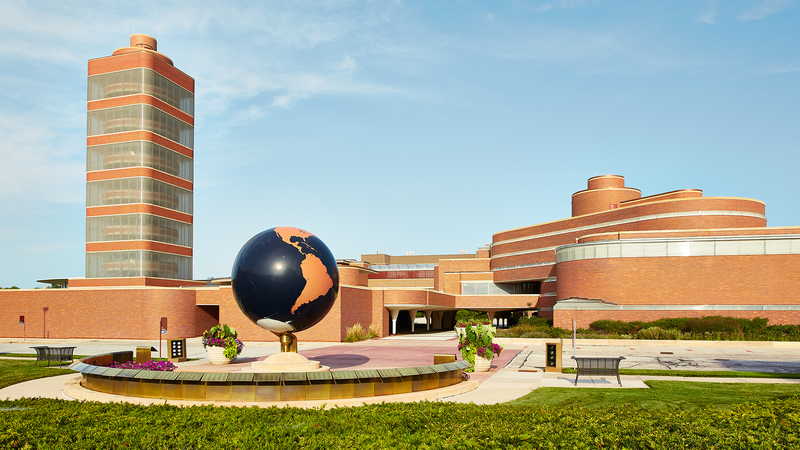 SC Johnson’s Racine campus also sits just north of Oak Park and Chicago, Illinois, home to further Wright treasures including the Frank Lloyd Wright Home and Studio and Robie House. SC Johnson offers free tours of its headquarters campus. Information is available at scjohnson.com/visit.